The Weaver’s Daughter (2018) by Sarah E. Ladd is a FANTASTIC standalone novel. This book comes in all forms including eBook, and is 356 pages in length. With a full-time job, a very busy six-year old at home, and packing my house up so we can move, this story took me two days to read. I received an ARC version of this novel in paperback form from the author via her publisher, Thomas Nelson. In no way has this influenced my opinion of the story. All opinions expressed in my review are my own. I give The Weaver’s Daughter 5+++ STARS. This novel is a Christian Historical Romance set in England in 1812. I have loved and enjoyed every book Sarah Ladd has written, but The Weaver’s Daughter is my new favorite. The storytelling in this book is so fast-paced and engaging that I could not put the book down. This story is told through the points-of-view of Kate, Henry, and Frederica. Each character — Kate, Henry, and Frederica — is unique and integral to the story, so reading each character’s perspective made the story all the more rich and engaging. The characters are SO well developed and well written. I definitely want to be Kate’s friend, Henry is an excellent Hero, and Frederica is perfectly awful. But, they are more than just caricatures. They do more than just fit into a particular character mold. All three are believable and realistic in their own rights. 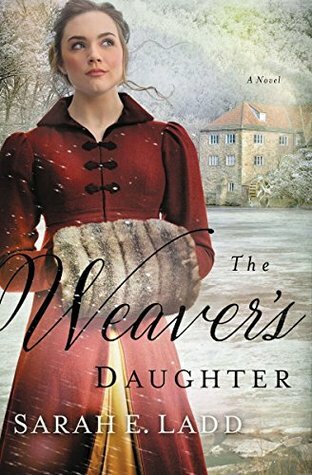 I wasn’t just reading a fictional story with made-up characters; The Weaver’s Daughter is a story about people who could have genuinely walked this earth and lived through the struggles shared in this story. 2. Henry Stockton = one of the BEST hero’s ever! First of all, Henry is swoon-worthy! He is tall with broad shoulders, strong, dark haired, and has eyes so blue it’s like looking into an idealistically perfect ocean. I will shamefully admit that I did enjoy his character from a purely shallow perspective. LOL! BUT, Henry is way more than just a handsome man. He is a wounded man. Henry has been to war, and it has changed him. Instead of a shallow, selfish boy, he is now a man matured and hardened by the things he personally witnessed throughout his many years in the Napoleonic wars. I found this part of Henry’s character to be exceptionally realistic. My father was stationed in Vietnam during four of the most insane years of the Vietnam War. I can personally attest to the behaviors of a man suffering PTSD caused by war, and Henry has PTSD. I appreciate that Mrs. Ladd illustrates this truth and didn’t sweep the aftereffects of war under the carpet. I personally hate when an author creates a character who is supposedly a war veteran but has absolutely no signs of the wear and tear war does to a person. Henry is SO respectful of Kate. He values her opinions and criticisms, and takes to heart her suggestions. Over the course of the story, Henry blossoms into a truly compassionate and giving man because of his many interactions with Kate. This is my most favorite aspect to The Weaver’s Daughter. Henry truly wants to be a good man, a man God would want him to be, and sees what it means to value human beings as he watches Kate interact with her community. Henry wants to emulate Kate, and therefore becomes a better man BECAUSE of her. Henry stands up to bullies even when it is scary to do so. I dislike bullies immensely. The Weaver’s Daughter is full of bullies who want to hurt others. Instead of hiding from them, Henry stands up to them. He shows no fear. I loved and admired this aspect of his character. Oh yeah, the first kiss is amazing!!! It happened exactly when it was supposed to, and Henry, as the initiator, could not have been more breathtaking! I love when authors incorporate motifs from other story lines. It’s fun to see how they make the beloved ideas and concepts their own. Sarah Ladd did an excellent job of utilizing the Romeo and Juliet motif of lovers from two families who hate one another. I love when love overcomes adversity. Kate is a Dearborne and Henry is a Stockton. Dearbornes and Stocktons do not trust one another, and they haven’t for decades. The more time Kate and Henry spend together though, the more they realize that maybe the two families have been wrong to have such distrust and dislike for one another. Maybe a bridge could be made between the two families after all? Maybe peace can be a reality? You will have to read this wonderful story to find out! I know I say this every single time, but there really are like a thousand more amazing things I could discuss about this book. I didn’t even get to the history aspect — I was completely fascinated by the wars between the Weavers and the Millers during the 1800s in England. I had NO idea about this bitter aspect to history. A lot of peoples’ lives changed during the Industrial Revolution, and not always for the best. In all honesty, “Progress” seems to hurt more than it helps. Oh my, did I love this book. I am very sad that my time with Kate and Henry is over. I am definitely keeping this book for a second, third, 20th re-read! 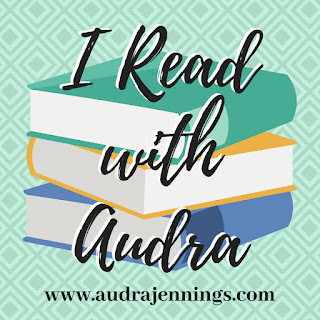 If you are looking for a book to love and re-read again and again, then I cannot recommend The Weaver’s Daughter enough. Run to your nearest bookstore (or computer!) and purchase a copy of this fabulous story. You will not be disappointed that you did. I am giving away ONE (1) ARC paperback of The Weaver’s Daughter by Sarah E. Ladd. The giveaway begins today, 4-29-18 at 10:00 am (PST) and ends on Wednesday, 5-2-18 at 12:00 pm (PST). To enter, click on the Rafflecopter link below. Good luck! This sounds like such a great book!! Thanks for the review and the opportunity to win a copy of the book. I have not read any of Sarah’s books, but I would love to. Thank you for your wonderful review on “The Weaver’s Daughter” by Sarah E. Ladd. You have captured my mind and my heart so needless to say this will definitely go on my TBR list at the very top. I love Christian Historical Romance books. Kate, Henry, and Frederica each sound fascinating in their each individual ways. I’d love to get to know them through this book. It speaks volumes about a book when you want/need to see them again continuing in the next book. I would LOVE to be the fortunate one selected to receive an ARC paperback of The Weaver’s Daughter. thank you for the chance. I’ve read A Lady at Willowgrove Hall and enjoyed it. For some reason Sarah fell off my radar and I haven’t read her newer books. Thanks for reminding me to check them out. You’re welcome! I hope you can get to some of them. She’s getting better and better with each book!! Always look forward to your reviews! I haven’t read this author and this book sounds wonderful! I don’t think I’ve read any of Sarah’s books, but I would love to. The history of weaving is quite an interesting subject. I enjoyed the review. It’s been a while since I read a Sarah Ladd book. Dawn at Emberwilde was good! Her book covers are so pretty. I’m sad to say, Sarah is a new to me author. 😦 I just went to her web page, her stories sound wonderful & her covers are quite beautiful. Thanks for sharing this giveaway! Sounds Amazing. Would love to read it.